The award-winning His Dark Materials trilogy is a breathtaking epic adventure spanning a multitude of worlds. Northern Lights, the opening installment, sees Lyra and her shape-changing daemon embark on a dangerous quest. The award-winning His Dark Materials trilogy is a breathtaking epic adventure spanning a multitude of worlds. In The Amber Spyglass, the third and final installment, the war between good and evil reaches a shattering conclusion. The award-winning His Dark Materials trilogy is a breathtaking epic adventure spanning a multitude of worlds. The second installment, The Subtle Knife, introduces Will Parry, a young boy in search of his long-lost explorer father. 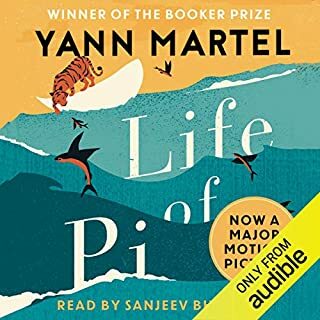 One boy, one boat, one tiger.... British comedian, actor and broadcaster Sanjeev Bhaskar, OBE performs this brilliant edition of a work of fiction that is loved by fans around the world. After the tragic sinking of a cargo ship, a solitary lifeboat remains bobbing on the wild, blue Pacific. The only survivors from the wreck are a 16 year-old boy named Pi, a hyena, a zebra (with a broken leg), a female orangutan - and a 450-pound Royal Bengal tiger. The scene is set for an extraordinary adventure. Finally a Narrator worth listening to. This is the first book in the Carnegie Medal and Guardian Award-winning trilogy His Dark Materials, from Philip Pullman. Set in a parallel world very similar to our own, Northern Lights tells the compelling story of 12-year-old Lyra's quest to rescue her friend and find her father, aided by her daemon, an armoured bear, and a witch-queen. 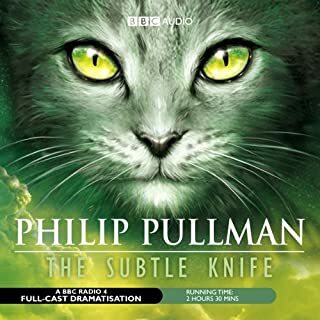 ©1995 Philip Pullman (P)2014 Audible, Inc. 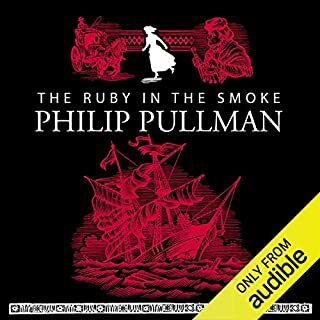 This is a fantastic quality audiobook with an excellent voice cast. It's such a great series! The audio quality is fantastic. I ended up getting the other two books in the trilogy. 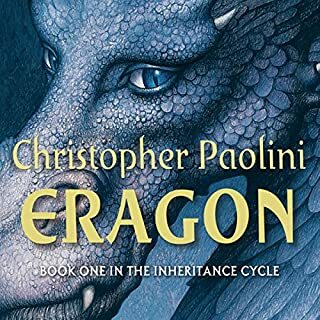 Definitely would recommend to anyone who likes fantasy and adventure. Perfect narration, but i suppose you can expect that from the author. A wonderful story which I read as a child and I have got so much more out of it the second time around. A wonderful fiction series for young and old. A great story, but reading out the cast at the end of each part and a recap was really annoying. Great book great narration although somewhat cheesy. Very addictive and easy to get hooked into and lost in. Great job. It was really well written. Lots of mature themes and I thought they were handled well. The cast and narration was good too. Full of twists, turns, deceit, cunning plans and other worldly stories. An exciting adventure about a girl discovering a world which she thought she knew. Can’t wait to listen to the next book! The story itself will make you cling towards it until it's end. The narrative (audio book) makes it even more interesting. Philip Pullman leest eigen werk voor! Ik moest wennen aan de snelheid van de opname. Ik vond het heel leuk dat alle stemmen voor acteurs zijn ingesproken maar nog leuker dat Philip Pullman zijn eigen prachtige werk voorleest. I first read The Northern Lights as an eleven year old, and it continues to be one of those stories that stays with me. I had a tradition of re-reading it every year or so right up until I was 18, and found that every time I did, I got something more out of it. So much of it had gone over my head when I was younger, but that was part of the draw. Reading these books where like spying on the adults in the other room. I was thrilled to listen to it once again. The reading is wonderful. The full cast is a treat. What a lovely way to revisit a much loved story from my childhood. 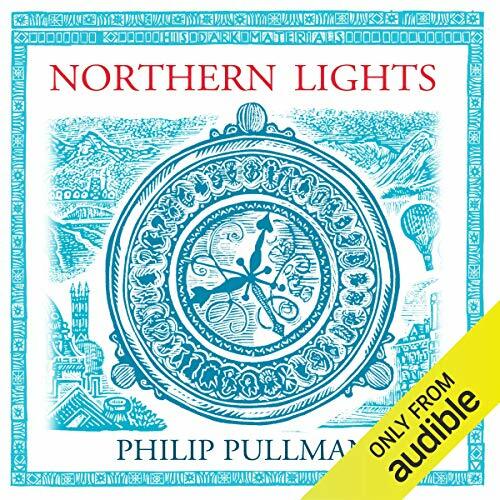 Northern Lights by Philip Pullman is a great listen with a great cast and one the best stories ever written. I absolutely loved it. I wish it was possible for more stories to be read this way, it just makes the story so much better. His Dark Materials is probably one of the greatest stories out there that is available to young readers, and audible has provided a fun way to listen to the story at bedtime. 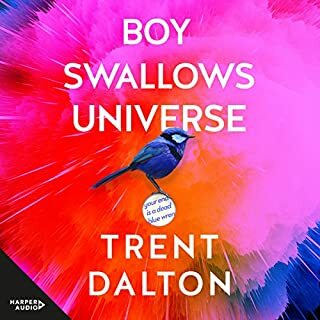 Fantastic book worked well in the audible format. Good acting and lovely narration from Pullman. Thoroughly enjoyed it and was better than anticipated. This is a fantastic dramatization of the book. I heard this on tape and wanted to buy the cds from audible, they didn't have it at that time so I bought the other version - a big mistake! This version is superior in every way. The author Philip Pullman is a brilliant narrator and the characters are great too especially Lyra. I cannot recommend this highly enough. For adult and older children, you will not want it to end! Can we have the next 2 cds soon!! I can,t wait. Having watched and enjoyed the movie 'The Golden Compass' I heard many friends who had read the original books and expressed how much better they were than the film. I didn't realise how right they were! 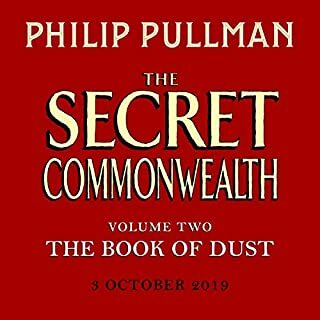 Fantastically written and brilliantly read by Mr Pullman himself this audiobook was truly a joy. The actors were all of the highest standard and the whole thing left me enraptured from start to finish. Top notch. 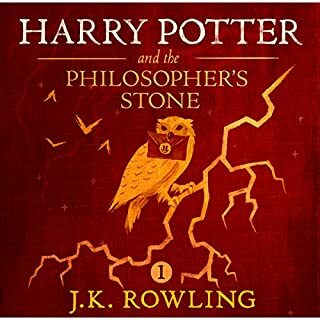 This is one of the most entertaining audiobooks I have ever listened to. 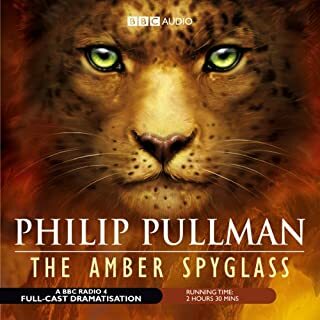 I say one of the most because the two sequels in this trilogy The Subtle Knife (Unabridged) and The Amber Spyglass (Unabridged) are the other most entertaining audiobooks. 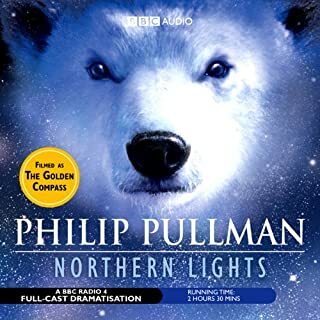 Northern Lights is a fantastic tale which has undoubtedly been perfected by having the story narrated by the author and a full cast to play the characters. Philip Pullman has a soothing voice which makes listening to him speak a pleasure. 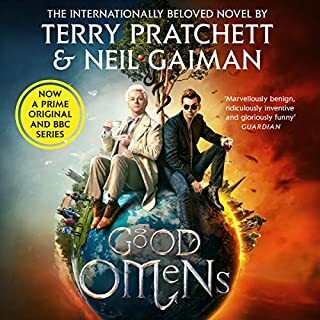 The cast are also excellent at bringing this recording to life which makes you feel like you are right in the middle of the action which I?m afraid you will never experience while reading the book. This recording is definitely five stars and this is a story that I will return again and again and I will never get bored of listening to it. 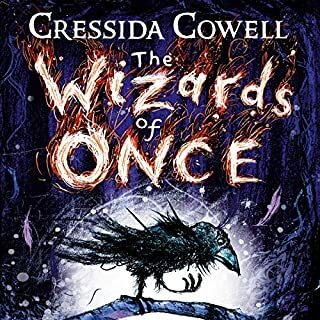 If you want to experience a magical audiobook then you must definitely listen to this one. This is fantastic! Pullman is excellent as the narrator and the characters bring the whole story to life. You feel as if you are on the sidelines watching as the story unfolds. This is definately one to listen to and lose yourself in. Great for adults and older children. i was recommended this title some years ago by a shop keeper who told me not to be put off by the fact that it was a childrens book. so i spent the money and bought it on tape. only the first title. i listened to it in a day and i went back to the same shop and bought the last two! 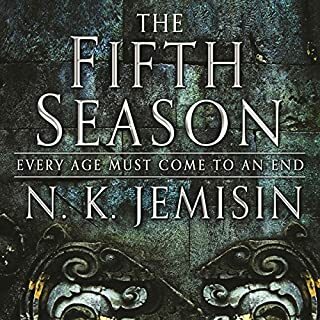 this book and the whole series has been so well written i never get tired of listening to it. and when i found this title on audible i was so glad to find it as my origional copy i had on tape is now damaged! all i can say is that give this book a try and keep an open mind about it. you won't be disappointed! Wish whole book had been read by Phillip Pullman, as the description suggests. The full cast voice acting is heavy-handed and hammy, and Lyra, to my great disappointment, is teeth-grindingly annoying. Also the editing between narrator and actors is rushed and unnatural. Please get Michael Sheen in, who has done such a wonderful job with the prequel Book of Dust. 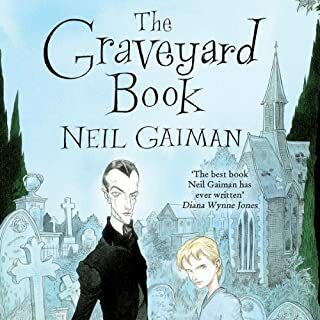 He is able to both narrate, and voice any character convincingly, from a teenage scullery maid to Lord Asriel, and bring Pullman's world to life. Sticking to print for His Dark Materials. 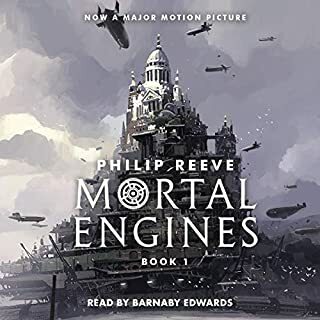 I read the book, listened to the dramatised version and then the unabridged version here on Audible. This helped while away the commute very nicely thanks. Pullman?s narration is perfect and his creation in this trilogy is incredible. 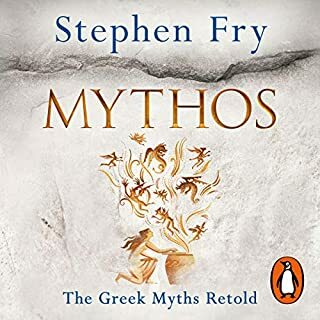 His invention of the Alethiometer is fascinating, the out-of-kilter world that Lyra lives in and the rest of the cast of characters and their daemons are superb. Once I have listened to these I don?t know what I am going to do as I will miss them so much! I've read these books a few times before, but I really wanted to hear Pullman read them himself. And it was so beautiful, the cast were amazing! Even though I've read them all before I don't think I'll ever get tired of them. The story is really unique and clever and so well told. I will read these to my future kids until their ears bleed (if that's possible..). 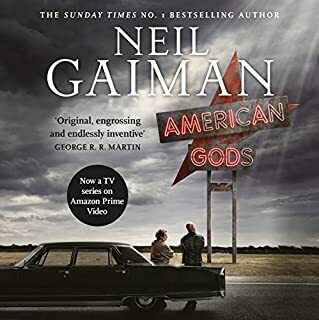 Having tried several times to read the book, but getting bored and giving up, I didn't think I'd bother with the audio book as I didn't want to waste either money or a credit if I found it equally boring. However, when it was on offer for Audible's 5th anniversary I decided it was worth a fiver - and I'm VERY glad I did. It's an extremely enjoyable listen with the voices being well matched to their characters. All the tension and excitment comes across far better than in the book and you want to know what's going to happen next. 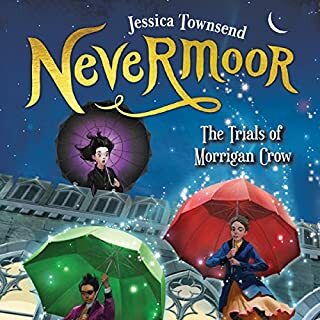 I've got the other two parts of the trilogy on my wishlist for auto-download, but I may not be able to wait that long and I'll have to buy them! 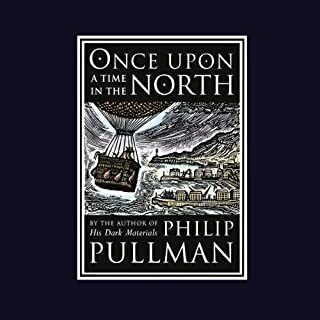 I really enjoyed Northern Lights and the other two his Dark Materials books. It is rare for an audio book to be read by different voice actors. Phillip Pullman isn?t bad at all as the main reader and the other voice actors are good. I have heard the radio series of all three books and think that the unabridged versions are miles better. I felt that Terrance Stamp, who played Lord Asriel in the radio series, had more of the ferocity that you would expect from him. However, I felt Sean Barrett sounded more bear like when he played Iorek Byrnison than Steve Hodson. The consepts in the book are very interesting, such as the human sole as an animal and the idea of dust being the name for original sin. Even though it is seen as a book for children, I believe it can be enjoyed by both children and adults. Overall, a highly recommended book.